Find a vacation home to rent in Orbetello from our list of vacation rental properties. Campaya has over 29 vacation homes available in Orbetello, which give you the possibility to locate a unique accommodation in Orbetello which completes your check-list in search for the perfect self catering vacation apartments in Orbetello or vacation villas in Orbetello. Independent house (140 m2) on 3 floors set on the enchanting promontory of Ansedonia, one of the most picturesque coasts of Tuscany. Detached holiday home on the "Giannella" beach, a strip of land which connects the mainland with the promontory of Monte Argentario. Nice and panoramic villa with a large terrace overlooking the sea of the charming promontory of Ansedonia, one of the most suggestive coastal site of Tuscany. 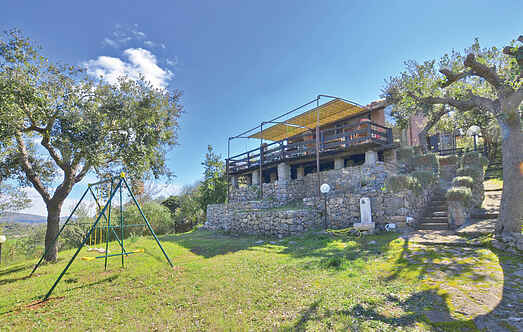 Beautiful holiday home with pool and view of the blue sea of Ansedonia, in the Tuscan Maremma. This holiday accommodation is set above the sea and 6 km from Talamone. This holiday home lies 130 m from the Giannella beach, a strip of land that connects the Maremma coastline to the Monte Argentario promontory. Villa surrounded by nature, on the stretch of land which connects Orbetello to Monte Argentario. Dirt access road. This independent holiday house (160 m2) is set in a rustic style on the enchanting promontory of Ansedonia, next to one of the most beautiful Tuscan coasts. 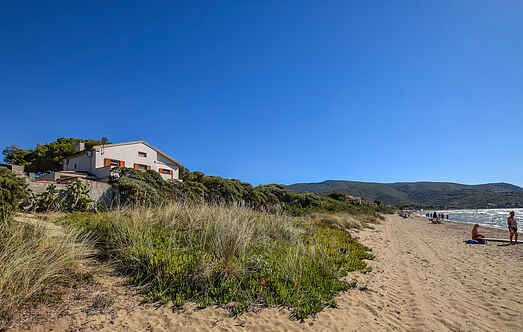 Holiday home on the Giannella beach, a strip of land that connects the Maremma coastline to the Monte Argentario promontory. This independent villa (190 m²) is set near to Orbetello with a stunning view over the sea and the beautiful promontory of Ansedonia. Apartment in a small residence with shared swimming pool in Ansedonia (Grosseto).